I wanted to update the Blog on the status of one of our most recent "difficult back pain" patients. For her protection I am using her first name. Jenifer came to my NYC Chiropractic office last week fresh out of the hospital. She voluntarily left the hospital because they recommended a back surgery after her CAT scan revealed multiple level disc herniations. She stumbled into our office and we had to use a wheelchair to get her back into our office. Once I had confirmation that she had a contained disc herniation we began treatment on the DRX 9000. She has already had 6 treatments as of yesterday. What a difference the spinal decompression has made in 6 visits. She is now able to walk with the assistance of a cane and has had several nights of sleep. This is huge for her, because she was facing a invasive back surgery and now she is on the road to recovery. This week we are starting the Rehabilitation on the Spine Force. I hope to have a video testimonial from her shortly, she is the reason I have spinal decompression in my Manhattan office, and the reason I got into Chiropractic in the first place. To many patients are told surgery is the only way and are forced into something. 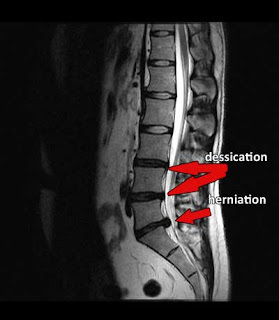 Surgery is not always the only solution to a painful herniated disc. When Chiropractic care is combined with Physical therapy and spinal decompression the results are amazing.